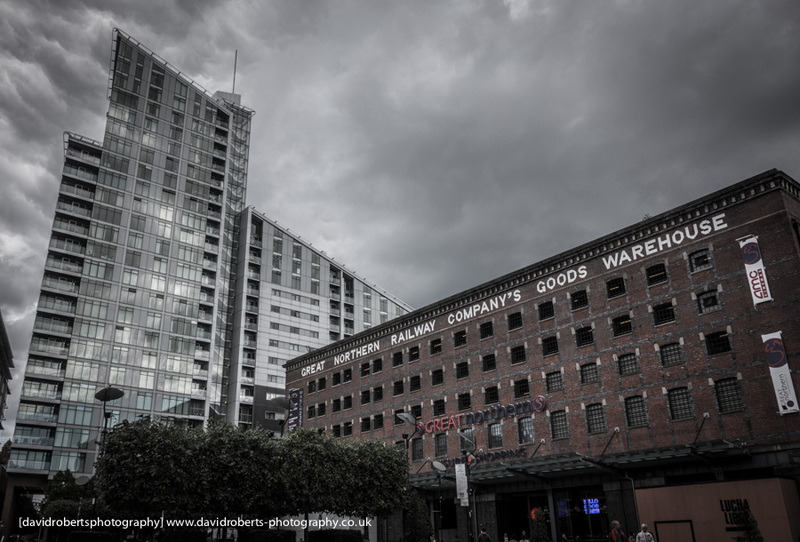 Contrast between old & new in the Great Northern quarter of Manchester. The Great Northern Warehouse and its environs was historically a transport interchange for the massive volume of goods arriving by rail at Central Station – now Manchester Central – in Manchester. When building work began in 1885, the railways were booming. In fact, the railways did more to clear Manchester’s fever dens than any social legislation. In order to build the Great Northern Warehouse – nine acres of streets, back-to-back houses, foundries, hotels, inns, a burial ground and a school were swept away. After several decades of decline in the railways and the fall of the Beeching axe, the Warehouse was closed for good in 1963.